Description: Jolee's Boutique Dimensional Stickers let you personalize scrapbooks, cards, paper crafts and gifts and more. Each dimensional sticker is hand crafted using fine quality materials. 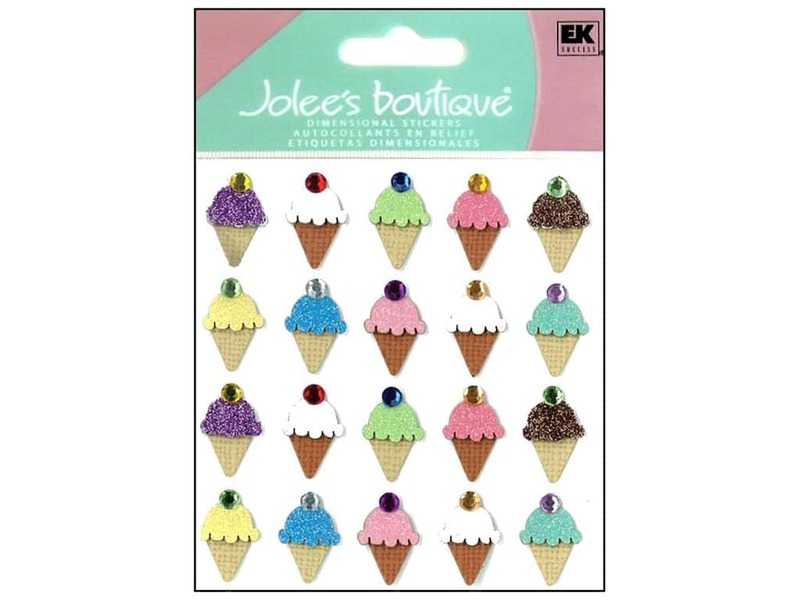 Jolee's Boutique Repeats Ice Cream Stickers include single scoops of ice cream in a waffle cones. Each scoop is done in purple, white, lime, pink, chocolate, or blue, and accented with glitter and a contrasting colored rhinestone on top. Approximately 5/8 inch x 7/8 inch. 20 pc.